Summer 2016 – Carlo Gavazzi is proud to announce the launch of the RSGD Series Self-Learning Soft Starters with communications for motor applications up to 100Hp. The RSGD is an extremely compact 75mm wide and easy-to-use 3-phase soft starter for AC induction motors up to 100A. The new self-learning algorithm has been adapted to work with different applications without needing to adjust the initial torque, therefore resulting in an almost plug & play set up. The integrated electronic overload protection, the PTC input and a number of built-in diagnostic functions provide more protection to the motor, helping our customers save money and space in the electrical panel. The RSGD is also equipped with Modbus two-wire serial communication protocol which can be interfaced to different PLCs for enhanced control diagnostics of the system status. Energy, voltage, current and other electrical variables can be easily communicated to a PLC for real-time monitoring of the motor condition. An internal alarm counter and data-logging of the last 32 starts provide easier troubleshooting. The RSGD is an ideal solution for 3-phase fixed speed AC induction motor applications where there is the need to reduce starting current to minimize the stresses on a motor during start and stop. Applications include control of pumps, fans, and compressors in markets such as water treatment, agriculture, building automation and HVAC. 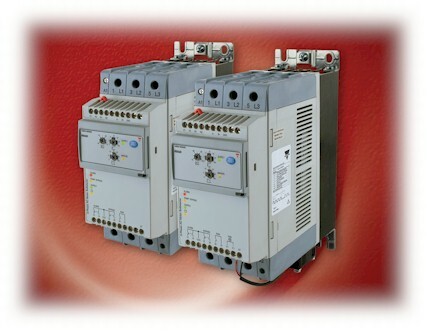 The RSGD Series Soft Starters are available from Carlo Gavazzi’s North American network of sales offices, distributors, and online at www.GavazziOnline.com. Check out MAC's latest video featuring fluid valve technology in a spray dampening environment. You can also visit the liquid microdosing valve and Bullet Valve® pages for more information. Equipment factory settings may not always be ideal for your application or environment. That's why In-Sight 2000 vision sensors were designed with field changeable lighting, filters and optics. Now you can easily adapt your automation equipment to virtually any production line. 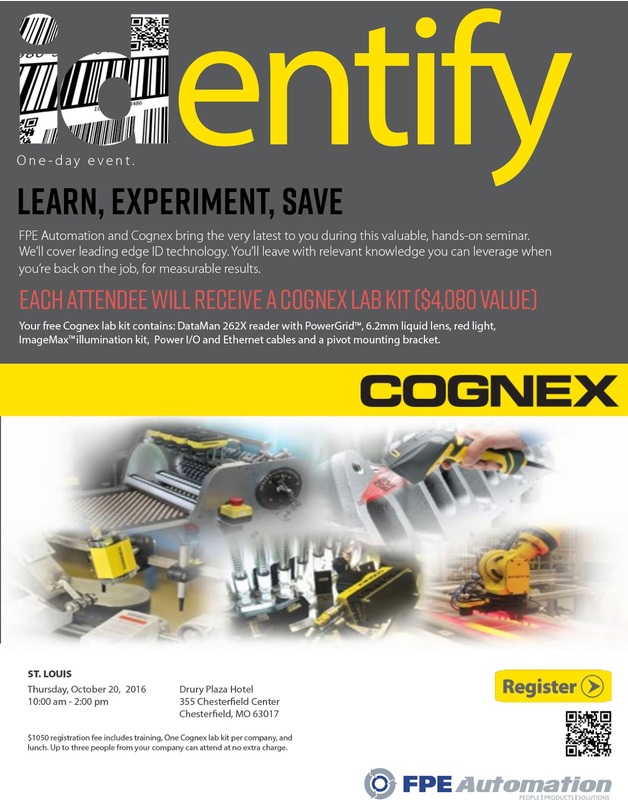 FPE Automation and Cognex bring the very latest to you during this valuable, hands-on seminar. We’ll cover leading edge ID technology. You’ll leave with relevant knowledge you can leverage when you’re back on the job, for measurable results. Each attendee will receive A COGNEX LAB KIT ($4,080 VALUE). Your Cognex lab kit contains: IDataMan 262X reader with PowerGridTM, 6.2mm liquid lens, red light, ImageMaxTM illumination kit, Power I/O and Ethernet cables and a pivot mounting bracket. $1050 registration fee includes training, One Cognex lab kit per company, and lunch. Up to three people from your company can attend at no extra charge. Connection failures can be caused by various reasons, such as excess temperature, excess current or voltage, mechanical shock, stress and impact. Sometimes, however, the failure is caused by the careless access of unauthorized or unlicensed personnel to the connectors, which could lead to injuries or downtime. This could cause a significant loss in time and money. Mencom MIN series locks are designed to secure the connection between two straight MIN plugs or between a straight MIN plug and a mating receptacle to prevent the unexpected interruptions. The padlock hole ensures the extra layered protection by allowing only authorized users to have an access to the connectors. Once the padlock is removed, the locks can be opened by inserting a small flat-blade screwdriver into the slot. The MIN locks for Plug-to-Receptacle connection from Mencom is available in both MIN size I (7/8") and PMIN (1 3/8") series. The Plug-to-Plug connection is currently available only in PMIN (1 3/8") series. Mencom also offers the protective lockout for MIN size I (7/8") plugs. Contact FPE Automation for more information, or to get a quote. This month, MAC Valves was featured in PETplanet Insider magazine, which is a trade publication for PET processing. It's a very good article about bottling and filling. You can check it out here. August 2016 – Carlo Gavazzi is pleased to announce their new DTA7 Series of Motor Thermistor Relays. They are capable of monitoring the temperature of up to six motors (via thermistors on the internal windings). This type of monitoring and control prevents false alarms, which may cause interruptions in production and expensive machine downtime. There are also numerous improvements from our prior design, such as universal power supply (which reduces the available part numbers choices by 67%) and a bi-color LED which, through different colors and blinking statuses, provides diagnostics, i.e. Power ON, PTC failure(s), Alarm and the ready to RESET state. One or two output versions are available to facilitate control of the motor(s), with two output devices having the ability to control other auxiliary devices, such as an alarm indicator lamp, PC or PLC. 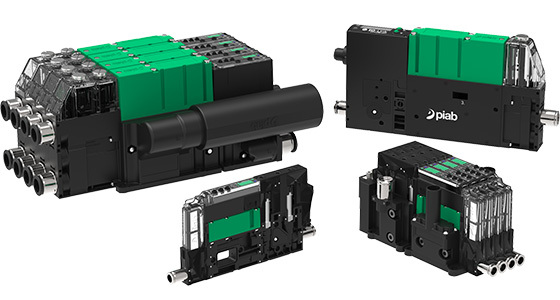 The DTA7 Series are useful in most applications where motors are used, especially where overloads are frequent and may cause motor damage, i.e. pumping stations in water treatment, conveyors in materials handling and chillers in HVAC systems. 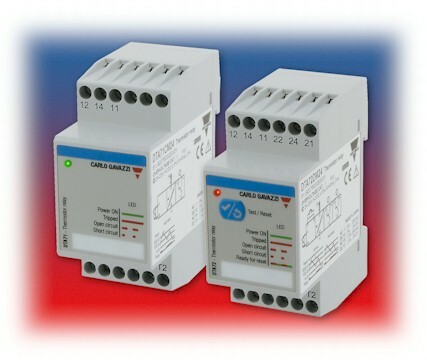 The DTA7 Series is available from Carlo Gavazzi’s North American network of sales offices, distributors, and online at www.GavazziOnline.com.